Encryption - Daily Tech Update - April 17, 2018 | Blue Mountain Data Systems Inc. AGENCIES: Crypto Crumpling Could Solve the Encryption Conundrum. The battle between the federal government and tech companies over encryption heated up again recently when the Trump administration renewed a push to require companies to provide a “back door” into encrypted devices and applications. Read more. 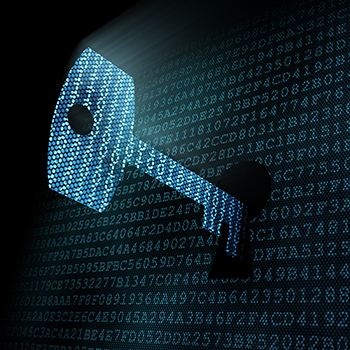 FEDS: Pushing New Plan for Encrypted Mobile Device Unlocks via Court Order. The Department of Justice is pushing for a new industry proposal that would grant law enforcement access to encrypted digital devices with a warrant, according to a new report by The New York Times. For years, top federal law enforcement officials have advocated for a way to overcome what they call the “going dark” problem—the occasional inability to access data kept on an encrypted smartphone or tablet even when a judge has granted that authority. In recent months, the FBI director, among others, has emphasized the problem’s severity. Read more.